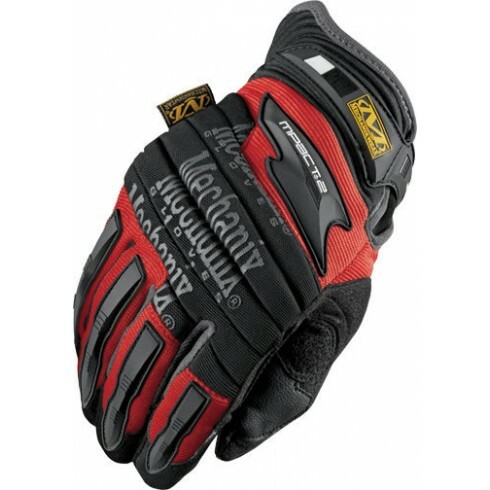 Our RED Original M-Pact 2 Mechanix Wear Gloves offer premium gloves with the perfect fit for everyone including mechanics, construction workers, technicians, tradesmen, do-it-yourselfers, industrial safety personnel, military professionals, law enforcement, emergency service workers and anyone else in need of an everyday use premium glove. All Mechanix Wear gloves have their own story and their own way of providing hand protection from basic protection all the way to ones that are fire retardant. Our Red Original M-Pact 2 Mechanix gloves have been tried, tested and proven for over 20 years by providing the perfect blend of flexibility and protection for all their trusted users. Durable synthetic leather with New Impact Guard technology. A reinvented accordian knuckle and ribded padded thumb guards. Molded TPR encased foam heel pads with a heavy duty wrap around TPR closure. Stretch spandex finger gussets for a comfortable and snug fit. The perfect Mechanix gloves for everyone.